Chester Bennington's widow says that she was "completely surprised" by her husband's passing, explaining that she believed Chris Cornell's death only two months earlier would serve as a deterrent against suicide to the LINKIN PARK singer. Chester was found dead on July 20, 2017 — on what would have been the 53rd birthday of his late friend and fellow rocker, SOUNDGARDEN frontman Chris Cornell. After Cornell died in May 2017 as a result of suicide by hanging himself inside his Detroit hotel room, Chester wrote a letter thanking him for inspiring him and hoping he would find peace in "the next life." On Wednesday (January 31), Talinda Bennington touched upon her tragic loss during an appearance at the Canadian Event Safety Summit, where she spoke with Anna Shinoda (wife of Mike Shinoda, who is also in LINKIN PARK) and Jim Digby (LINKIN PARK's production manager). The event focused on mental illness in the music industry, but much of the panel's discussion centered on life after Chester's death. Talinda, who married Chester in 2005 and had three kids with the late singer, said (see video below): "[Chester and I] were both very emotionally unhealthy in our own different ways, and over our time together — we were together for 12 and a half years — we both grew. He struggled with addiction and depression, two things that I've never struggled with. Although I do have my own demons, I did have my hardships growing up, we just handled them in very different ways. So I came from a point of complete — for lack of a better term — ignorance to his situation. But over time, I came to learn that taking care of your mental health is as important as your physical health." According to Talinda, Chester's death "was a complete surprise" to her. "My husband had had past… in the past, he had attempted sucide, but I thought to myself, 'It was 'cause he was wasted. He was this or that.' So [before] he did pass, I thought very naïvely, we were in the clear," she said. "We had a very, very dear friend, Chris Cornell, take his own life. And I felt that, 'Okay, Chester sees what Vicky [Chris's wife] and [their] kids' — we're godparents to their children — 'what they're going through and this will never happen.'" Talinda said that Chester was "full of life" when they and their children went on a family trip to their cabin in Sedona, Arizona last July. "He had to go back home early to work," she recalled. "He was very excited to be promoting the new [LINKIN PARK] album and doing stuff. So he was happy. He gave me a kiss goodbye, he gave the kids a kiss goodbye, and I never saw him again. "The phone call I received the next morning was life-altering," she said. "My children's lives were altered forever. And in the travel time, which felt like a thousand years to get from Sedona back home, I knew that I had to walk into the home where my husband took his life and I had to normalize that for my children, because they were going to respond to how I reacted. I walked into that house and I walked up to the room that it happened in, I made my peace with it and then I made it as normal as I can. And that was the beginning of my journey of doing what I can do to normalize mental health." Talinda also opened up about her husband's struggle with addiction, saying that before the morning he committed suicide, "he had been sober for almost six months, which was amazing for him. He had a lot of shame in the past when he had relapsed — shame that he had just begun to share with me in the couple of months before he died, shame I didn't even know a person could have," she said. "So when he passed, and I learned that there were two empty beer bottles in the room, I knew he had relapsed, but I also knew he wasn't so intoxicated out of his mind like I would have thought [he would have been in order to take his own life]. I knew instantly that that drink triggered that shame, triggered a lifetime of unhealthy neural pathways." 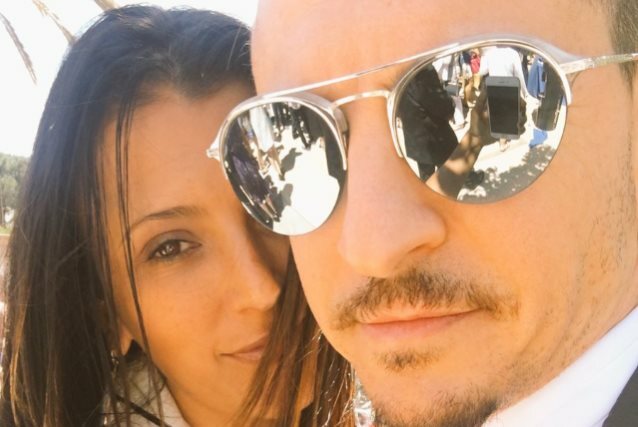 Talinda added that Chester "suffered from depression as a child, and it was untreated. He had traumas throughout his childhood, which many of us have — I have myself," she admitted. "But the way his pathways kept going, they just kept going towards disaster. And by the time he died, it was so much work — I believe as Mike [Shinoda] said — it was so much work for him to just do normal stuff, to be happy." Talinda believes that Chester's death was ultimately the result of mental illness, which is complicated, requiring a lifetime of management. "As Chester's wife, of course, you can only imagine the things that have gone through my head: 'What did I miss? What could I have done?'" she said. "As much as social media has been a huge support for me, I do every now and then get people blaming me — straight-up blaming me — for him dying, for not saving him, for mistreating him. Who knows why these people behind their devices are saying these horribly cruel things to me? But, you know, it is a little stab in the heart, but what I have to remember is that it's not my fault, it's not my children's fault, it's not the band's faults — it's nobody's fault. It's not a fault. It's years of untreated mental health, which led to substance abuse, which led to unhealthy relationships. By the time I met him, he was ready to be healthier." Chester married Talinda shortly after his divorce from his first wife, Samantha Marie Olit. In the months since her husband's death, Talinda has been using the hashtags #FuckDepression and #MakeChesterProud to grow an online community that is there to support people with depression, and people who have been impacted by a loved one's depression or suicide.